A push to solve the state's fiscal crisis by legalizing marijuana will continue in January when lawmakers return to Springfield for a new session, one of the lawmakers behind the effort said. CHICAGO — A push to solve the state's fiscal crisis by legalizing marijuana will continue in January when lawmakers return to Springfield for a new session, one of the lawmakers behind the effort said. Two bills authored by state Sen. Heather Steans and state Rep. Kelly Cassidy, both from Edgewater, were not brought to a vote before the end of the regular legislative session in June — by design, to give the lawmakers time to gather feedback on the measure, Steans said. The new version of the legislation is likely to be significantly different than the version introduced in March, Steans said. "We are doing it in the way that makes the most sense," Steans said, adding that she and Cassidy wanted to craft the "right regulatory structure" and the "right tax structure." "We want to be sure that we are doing it in the way that makes the most sense," Steans said, adding that she expects to hold another public hearing after the bill is reintroduced. The original version of the law would have allowed adults to possess, grow and buy small amounts of marijuana. Businesses producing marijuana for sale would be bound by labeling requirements and marketing restrictions. 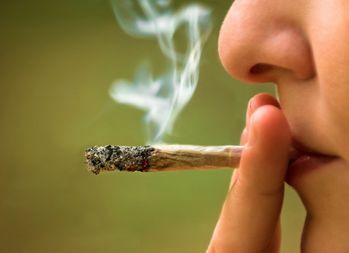 The original bill proposed a $50 per ounce tax on pot at the wholesale level, while sales to the public would be subject to the state's 6.25 percent sales tax. Illinois residents could possess up to 1 ounce and five plants. Nonresidents could possess a half-ounce. The effort would bring in at least $350 million annually, Steans said. The revenue would be earmarked for public schools and substance abuse prevention and treatment, according to the measure. Gov. Bruce Rauner has promised to consider the effort, but he said he was not convinced it was the correct path for Illinois. Nevada became the ninth state to legalize recreational marijuana, with the first sales taking place July 1. Marijuana is illegal under federal law. Under a pilot program approved in 2013, Illinois allows marijuana to be used for medical reasons. Illinois lawmakers approved a $36 billion spending plan Thursday over Rauner's objections. That budget includes about $8 billion to begin paying down $15 billion in unpaid bills the state accumulated during the budget impasse. Illinois had $15 billion in unpaid bills when the budget finally was approved, according to state Comptroller Susana Mendoza.